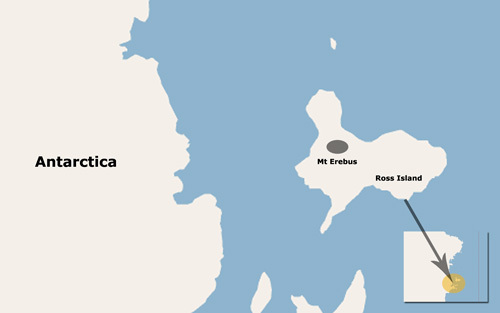 Mt Erebus is located on Ross Island, Antarctica. See map below. What type of aircraft was involved in the crash? The accident aircraft was a McDonnell Douglas DC10. It was registered as ZK-NZP in New Zealand. Click here to read more about the DC-10. How many people lost their lives in the tragedy? 237 passengers and 20 crew members died in the Erebus tragedy. Click here to visit the Roll of Remembrance. What year did Erebus happen? The Erebus tragedy happened on 28 November 1979. What time did the DC-10 hit Mt Erebus? 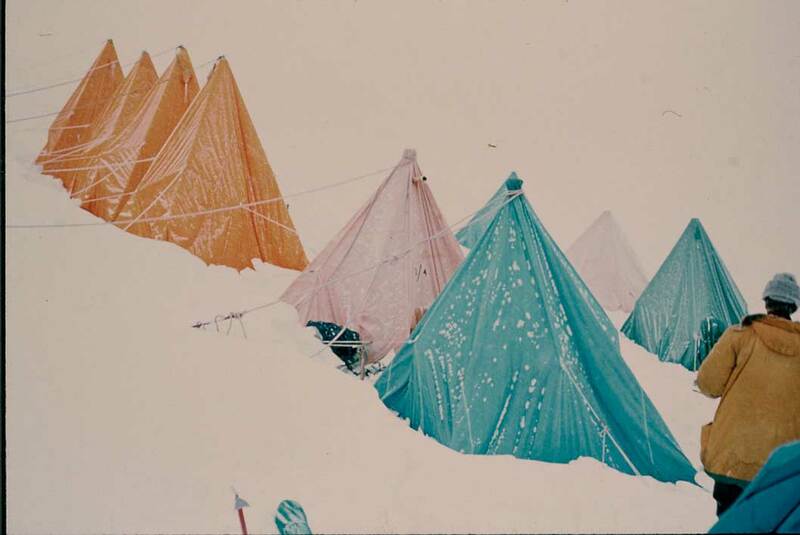 The DC-10, ZK-NZP struck the slopes of Mt Erebus at 12:49pm (NZDT) on 28 November 1979. 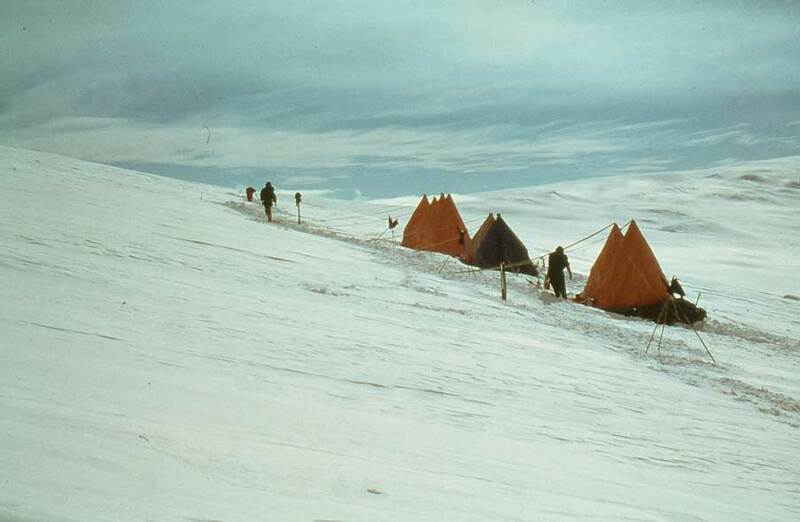 How long did the recovery teams spend on the ice in Antarctica? The recovery operation began on 3 December 1979 and ended on 10 December 1979. How many people were involved in the body recovery operation? There were 25 people participating in the body recovery operation on the crash site in Antarctica: 10 police officers, 5 volunteer mountaineers, 5 DSIR workers, 5 American Navy personnel. What is the Chippindale Report? This is the official accident report of the investigation by the Office of Air Accidents, Ministry of Transport. The Chief investigator was Ronald Chippindale. Click here to read more about the Chippindale Report. What was the official finding of the Chippindale Report? The probable cause was defined by Mr Ronald Chippindale in his report as “the decision of the captain to continue the flight at low level toward an area of poor surface and horizon definition when the crew was not certain of their position, and the subsequent inability to detect the rising terrain that intercepted the aircraft's flight path. What is the Mahon Report? The Mahon Report is the report of the Royal Commission of Inquiry into the accident in Antarctica, which was conducted by Justice Peter Mahon. The Mahon Report was originally shelved (unaccepted by Parliament) upon the report’s release in 1981. In 1999, Maurice Williamson tabled the Mahon Report in the NZ Parliament, which finally recognised the report as an official government report. What was the official finding of the Mahon Report?